GALLIPOLIS — Featured artist this Thursday, for Hot Summer Nights, in the Pavilion on the grounds of the French Art Colony, will be Sam Stephens. 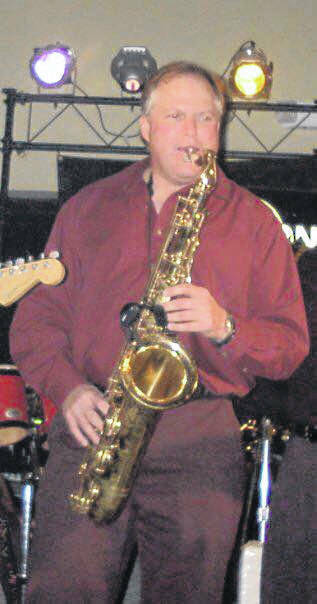 A well-known and much admired musician from Mason County, he is a graduate of Point Pleasant High School. He has been a regular performer for Hot Summer Nights, since the series began three years ago. A versatile musician and singer, known for his skill playing saxophone and keyboard, his music covers many eras and genres. Due to his popularity throughout this area, a large crowd is expected Thursday evening. The gates at the Pavilion will open at 6 p.m., with food available for a donation and legal beverages for purchase. The music will begin at 6:30 p.m.
Also available for sale, will be tickets to win a stay at a beachfront Garden City condo. Tickets are $5 each, or three for $10. A winner will be announced on the final night of Hot Summer Nights, August 30. All proceeds from the ticket sales will be used to purchase fans for the Pavilion, to make it more comfortable, during the hot summer months. Original design Hot Summer Nights tee-shirts will also be for sale, with those proceeds to also be used for the addition of fans in the Pavilion. Admission is $5 per person and is free for FAC members, as a benefit. For a full schedule of the live music performances in the Pavilion or for any additional information, call the French Art Colony, at 740-446-3834. Submitted by Marianne Campbell for the French Art Colony.